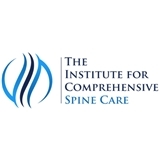 The Institute for Comprehensive Spine Care (Jersey City) - Book Appointment Online! Dr. Okubadejo and The Institute for Comprehensive Spine Care is committed to excellence by pledging to provide the highest quality of spinal care possible. Along with the treatment of immediate or chronic problems, we strive to integrate the doctrine of prevention in all our treatment plans as a way to alleviate possible future difficulties. We are pleased to have you as a patient. If you have any questions, always feel free to contact our office and our trained staff will assist you in any way possible.